Richard Holway MBE is considered to be one of the UK’s leading ICT analysts. 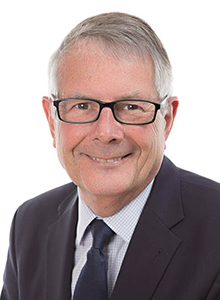 Richard started in computing in 1966 as a programmer, joined Hoskyns (now Capgemini) in 1968 and progressed to join the board in 1979 as Group Marketing Director. In 1984, Richard was appointed Managing Director of Wootton Jeffreys plc before forming Richard Holway Limited in 1986. Richard Holway Limited became the leading authority on the financial performance of the UK software and IT services market and its constituent companies. Richard launched the annual Holway Report in 1988. In 1989 he published the first edition of the monthly newsletter SYSTEMhouse and, in 1996, the Hotnews internet news service – one of the very first technology “blogs”. TechMarketView’s HotViews is the current manifestation of Hotnews and is required daily reading for tens of thousands of tech CEOs and directors. In November 2000 Richard Holway Limited was acquired by Ovum and the service continued as Holway@Ovum. Richard was appointed as a director of Ovum as well as continuing as a leading analyst with Ovum. In March 2006. Ovum successfully IPOed on AIM at 190p. In Dec. 06, Datamonitor acquired Ovum for £42m/300p; a considerable premium. Richard stepped down from the board at that time. In 2002, Richard was one of the founding members of the Prince’s Trust Technology Leadership Group which has raised over £30m for the Trust since. Richard’s annual speeches have themselves raised over £1m to help disadvantaged young people. Richard served as the Chairman of the Group from April 07 to March 09. In 2009 he was appointed as Vice Chair of the Development Board. He then founded the Internet & Media Leadership Group which itself raised over £5m to date. In 2011, Richard took on the Chair of all the Trust’s Leadership Groups and was appointed to the Prince’s Trust Advisory Board. Richard has considerable experience as an NED (both of private and publicly quoted companies) and as an advisor to the boards of leading ICT companies. Currently, Richard is a non executive director at the publicly quoted Allianz Technology Trust plc. Richard joined forces with Anthony Miller once again in October 2008 to launch TechMarketView LLP, where he is now Chairman. Richard was awarded an MBE in the 2012 Queen's Birthday Honours for his ten years involvement as a volunteer at the Prince's Trust. The citation read "for services to young people'. In 2014, Richard was made a Liveryman of the Worshipful Company of Information Technologists.